District: Debbie spent 28 years in Decatur Township, an urban school district in Marion County, IN, spear heading staff development, curriculum, assistant superintendant and rounding out her time in the district by serving as the superintendent until her retirement in late July. As a Curriculum Mapping Institute speaker at the recent School Improvement Innovation Summit 2013, Debbie Sullivan’s definition of the curriculum mapping process aligns with that of her colleague and CMI Executive Director, Heidi Hayes Jacobs, EdD. Sullivan knows a little about this topic, having spent 35 years in education. She started as a 1st-grade teacher and continued her career donning nearly every hat possible as both elementary and middle school teacher, administrator, spearheading staff development, curriculum, assistant superintendant and rounding out her time in the district by serving as the superintendent until her retirement in late July. 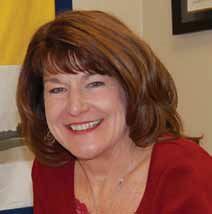 The past 28 years of her career was spent in Decatur Township, an urban school district in Marion County, IN. This district employs 300 teachers and serves 6,300 students, of whom 10% are minority and 65% receive free or reduced-priced lunch. Decatur’s students learn at two high schools (one, a small “New Tech” school), two middle schools, five elementary schools, and one early childhood center. Sullivan’s district employs a Curriculum Council of 50-60 teachers and administrators to learn the Common Core in depth and make decisions.